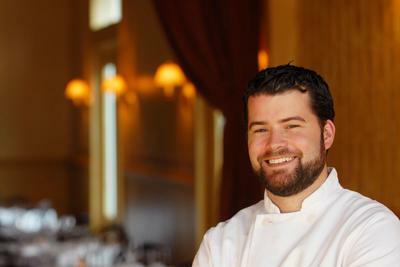 Foodista | IFBC NOLA Chef and Restaurant Announced: Justin Devillier of La Petite Grocery! A fabulous chef and restaurant added to the International Food Blogger Conference menu in New Orleans! Justin Devillier was raised in Dana Point California, a small beach town in south Orange County. Growing up, Justin enjoyed the laid back lifestyle of living on the beach. Summers were spent fishing for Yellowtail and Albacore tuna, and in the fall and winter he would free-dive for Lobsters just steps from the front door. This bounty of local seafood inspired Justin’s will to cook professionally and after cooking for a few years right out of high school, he decided it was time to focus on becoming a chef. In 2003 he moved to New Orleans and worked in the kitchens of Bacco, Stella, and Peristyle. While working at Peristyle, Justin worked with Chef Anne Kearny-Sands and learned the ins and outs of French cuisine and was responsible for preparing daily charcuterie specials. Justin works hard to support local farmers and fisherman and really enjoys grass fed beef, Berkshire hogs and really hoppy Ales. He credits his hard working staff for any accolades the restaurant might receive. When Justin gets free time, you can still find him fishing and hanging out on the beach. Like La Petite Grocery on Facebook!